In this absorbing chronicle of the role of race in US history, David R. Roediger explores how the idea of race was created and recreated from the 1600’s to the present day. 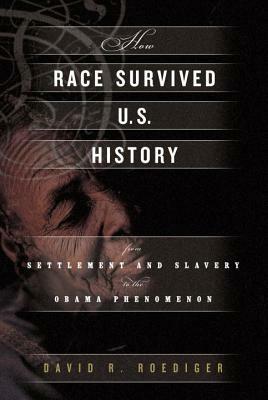 From the late seventeenth century—the era in which DuBois located the emergence of “whiteness”—through the American revolution and the emancipatory Civil War, to the civil rights movement and the emergence of the American empire, How Race Survived US History reveals how race did far more than persist as an exception in a progressive national history. Roediger examines how race intersected all that was dynamic and progressive in US history, from democracy and economic development to migration and globalization. Exploring the evidence that the USA will become a majority “nonwhite” nation in the next fifty years, this masterful account shows how race remains at the heart of American life in the twenty-first century. David Roediger is Kendrick Babcock Chair of History at the University of Illinois. Among his books are Our Own Time: A History of American Labor and the Working Day (with Philip S. Foner), "How Race Survived US History: From Settlement and Slavery to the Obama Phenomenon," and "The Wages of Whiteness: Race and the Making of the American Working Class." He is the editor of "Fellow Worker: The Life of Fred Thompson, The North and Slavery and Black on White: Black Writers on What It Means to Be White" as well as a new edition of Covington Hall's "Labor Struggles in the Deep South." His articles have appeared in "New Left Review, Against the Current, Radical History Review, History Workshop Journal, The Progressive" and "Tennis."